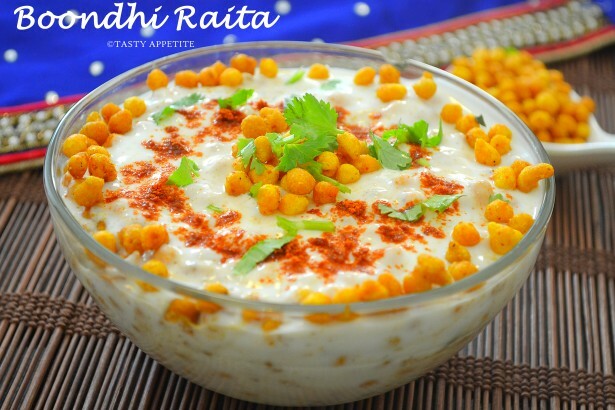 Today, I am gonna share one of the most popular raitas of North India, Boondi Raita. 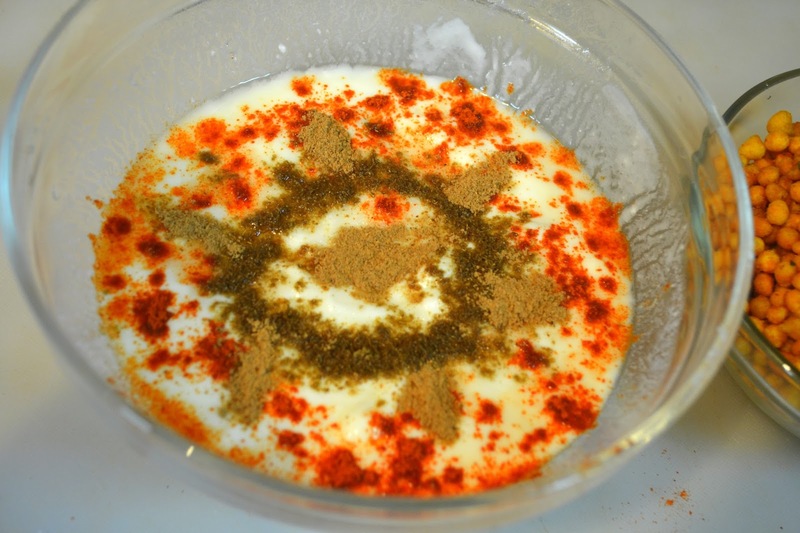 It is one of the quick & easy yoghurt dip recipe. It can be prepared by anyone in minutes and it pairs up best with biryani, paratha and many other delicious meal. 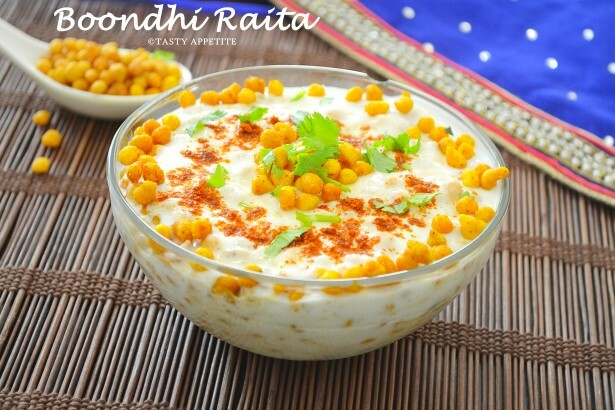 In this unique raita, the crispy savory boondi is mixed together with mildly spiced yoghurt. 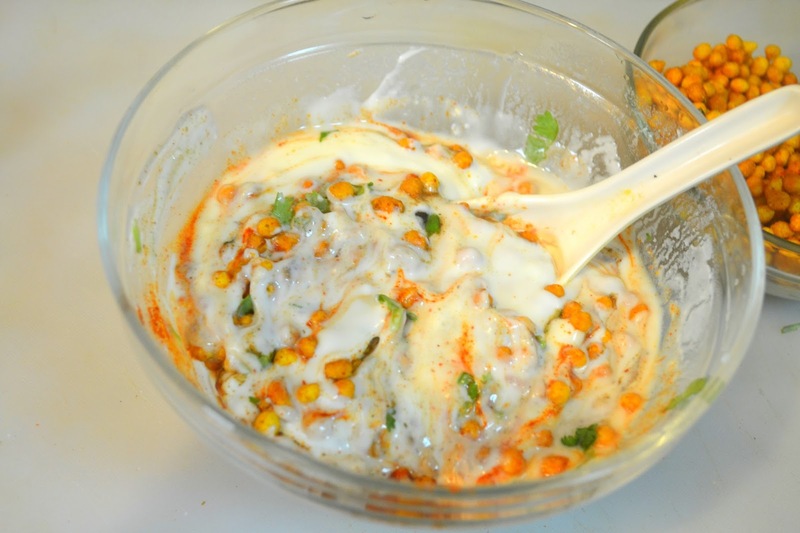 Not only this raita tastes lipsmacking good, also this is..very good for digestion. Lets see how to prepare this handy recipe. 1. 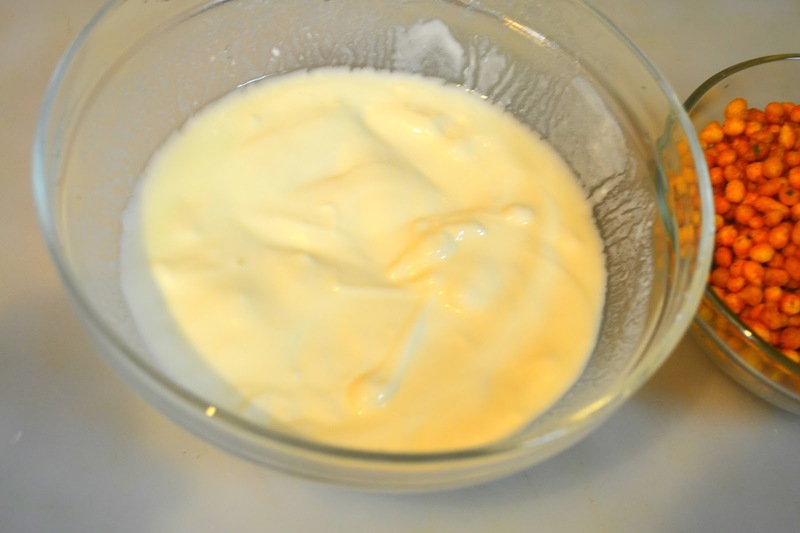 Take yoghurt / curd in a mixing bowl. 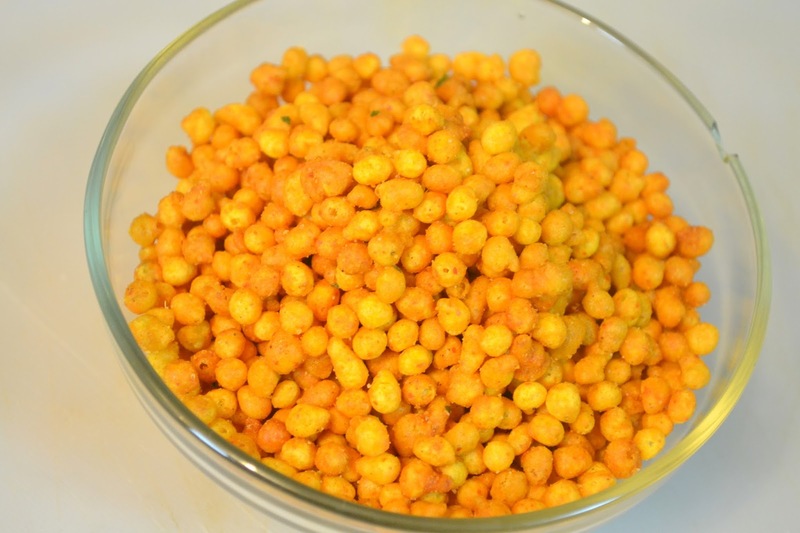 keep the kara boondi ready. 2. Beat well by adding little water. 4. Now sprinkle red chilly pwd, cumin pwd, chat masala pwd and pepper pwd. 5. Add finely chopped coriander leaves. 6. Then at last add boondhi and give a good stir. 7. 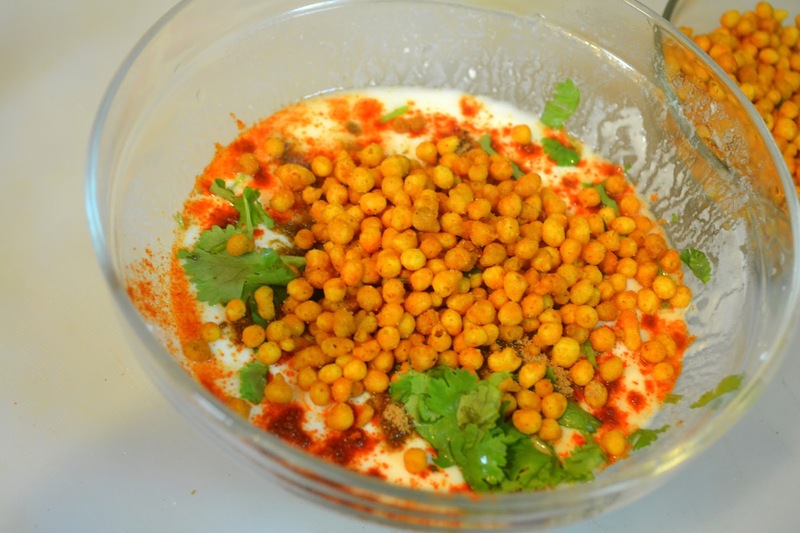 Allow to rest for 2 mins, so that the flavors seep through the curd. 8. Garnish with more boondhis, coriander leaves and red chilly pwd. 9. 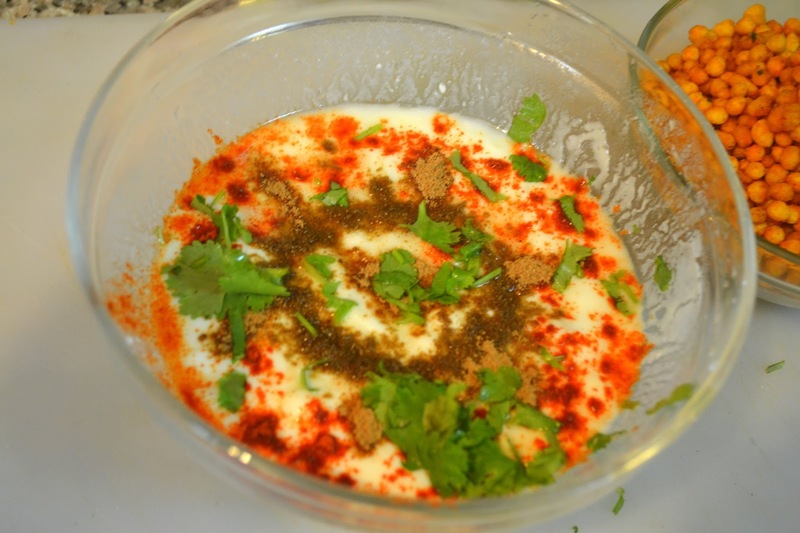 Flavorful boondhi raita is ready in no minutes. 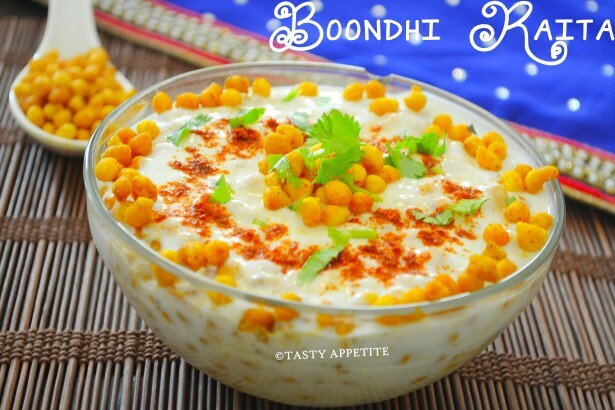 10.Relish immediately and enjoy the crisp taste of boondhis along with spicy yoghurt taste. 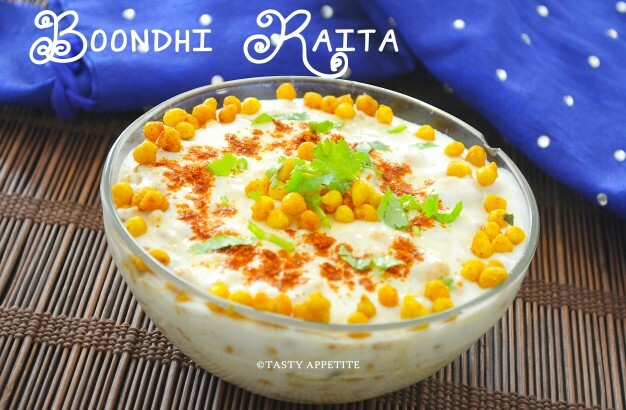 delicious yummy boondi raita Jay.